Hey, hey, hey! I hope you all are off to a great start this New Year with your resolutions and/or goals. 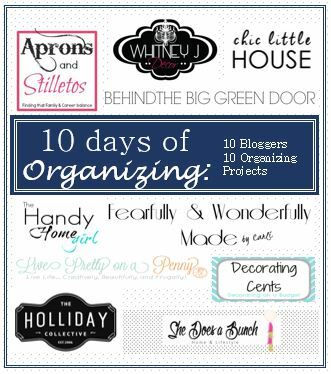 I’ve teamed up with 9 other talented bloggers this week to share how we organize our spaces for #10daysoforganizing. So far this week we have seen organizing ideas for toys and books, office spaces, kitchen, linen/bathroom closet, and today I will be sharing how I organize my entryway and coat closet. Come check it out! Last year around this time I tackled the same project, albeit half-heartedly. 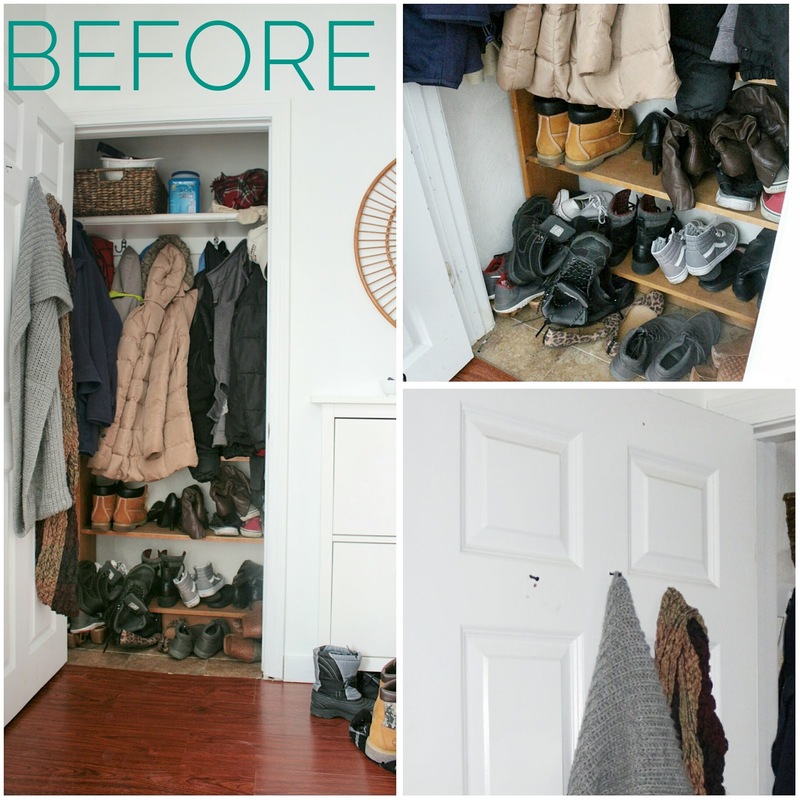 I created a quick fix for a system that was totally not working for us in our typical entry coat closet. I removed the clothes rod, put down some peel and stick tiles, threw a wooden shelf in for shoes and added coat hooks and screws on the door to hang our brooms and dustpans (don’t judge). While that configuration was an improvement from what I had--a year later, I was not loving it. 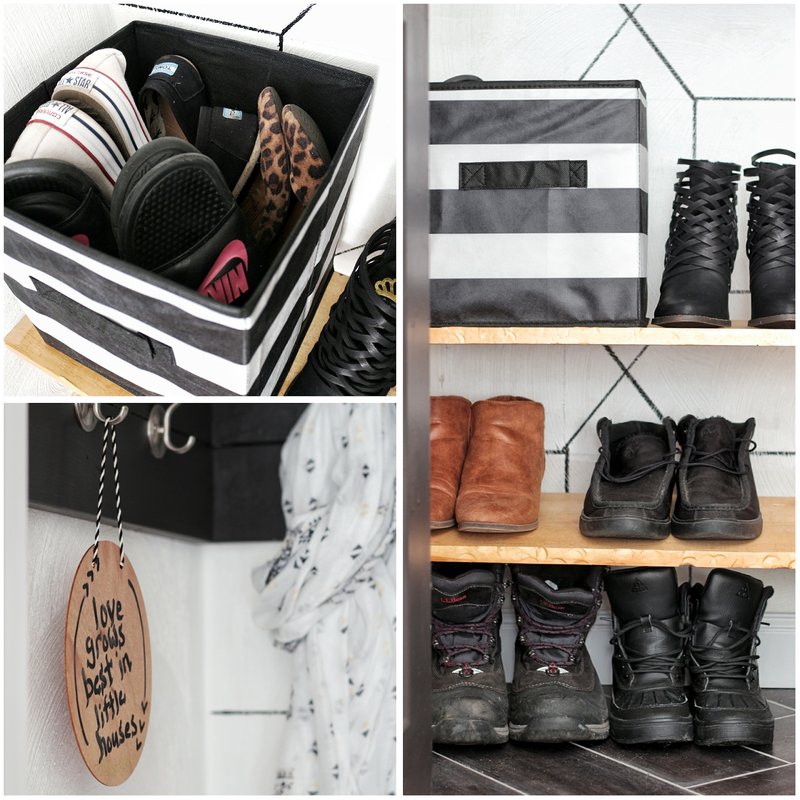 So I decided to take it one step further and today I’m going to show you how I’ve organized my entry way, coat closet and created a mini command center! First up, I cleared everything out, there was really no need for each person to have 2+ pairs of shoes as well as a few jackets at our entry. I also removed the shelf, the old hooks and the cracked up peel and stick tile. Under the tile we uncovered a little water damage from the refrigerator on the other side of the wall, my husband sealed up the area, we cleaned the sub-floor with a mold solution and let it dry. 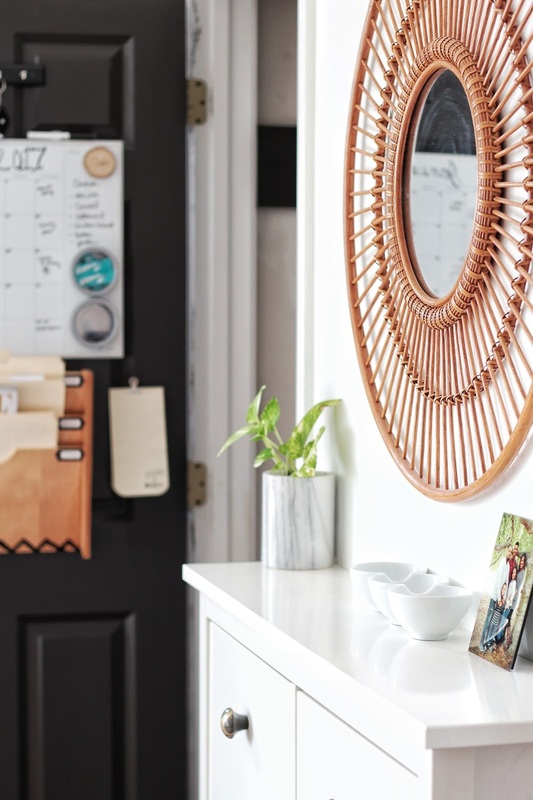 Consider how the space is currently being used: I literally sat across from the closet on my couch and seriously considered our habits, and the flow of things when guests come to visit. 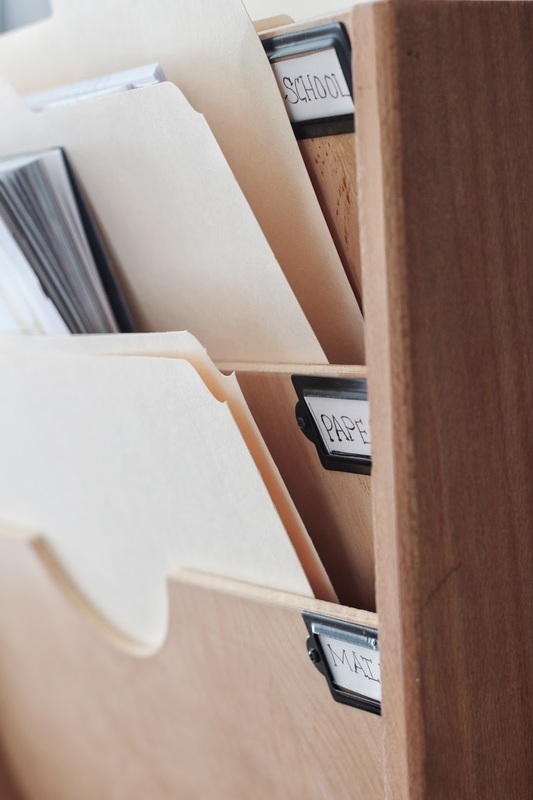 Create a plan of attack: Armed with these considerations, I created a plan of attack to best maximize and organize the space. This may not apply to you, but after clearing out, I was pretty much left with a blank slate. I’ve been known to use the groutable peel and stick tiles and actually swear by them -we have them in our bathroom, our stair landing and once, even had them throughout our entire kitchen area). We decided to go that route again. We went to Lowes and picked up some Stainmaster Vinyl tiles in Casa Italia. I finished off the space with foam baseboards, in case the leak problem persists. 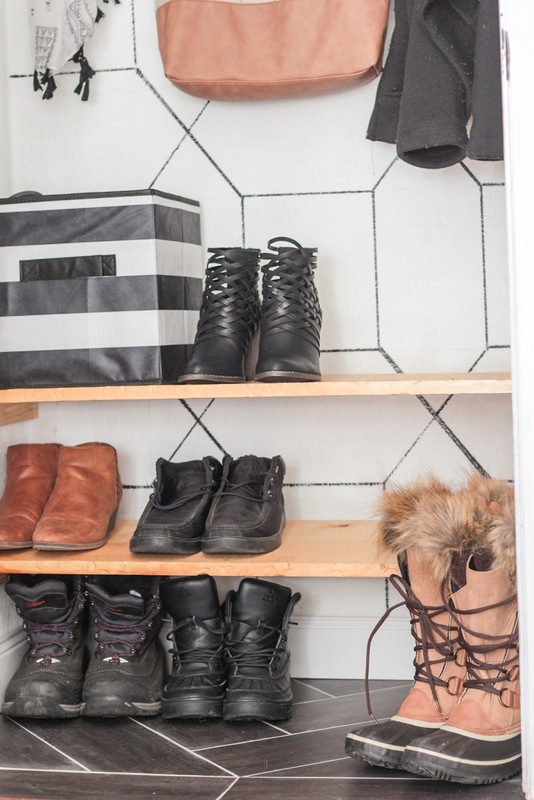 Who says a closet has to be boring? You can jazz up the walls with fun colors, stripes, wall paper or wall pops! 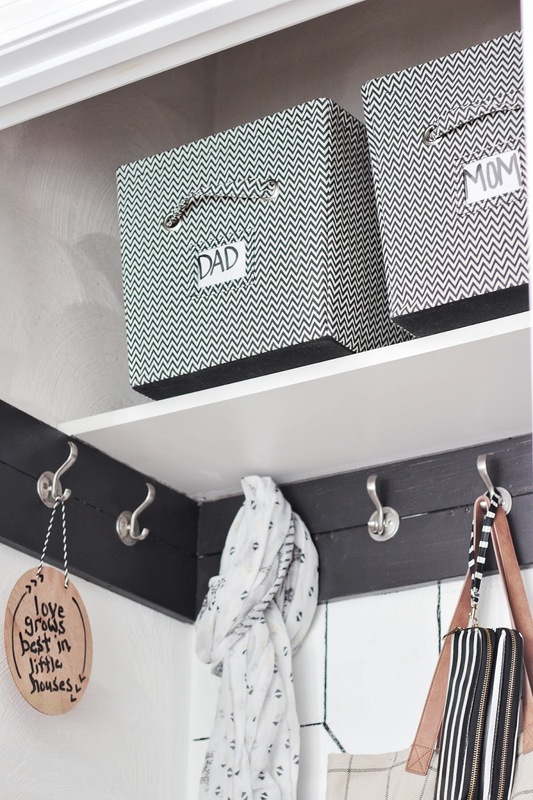 I love a little surprise inside of a closet, and who cares if no one sees it, if it makes you happy?! I decided to try my hand at using a Sharpie paint pen and simply sketched out a design. Using my level, I went along the lines with the pen. On the bottom of the closet, I decided on two shelves, which gave us three levels for shoes. Next, I took a quick trip to Walmart and grabbed some accessories. I knew that I did not want the inside of the door to be utilized for hanging coats or bags. 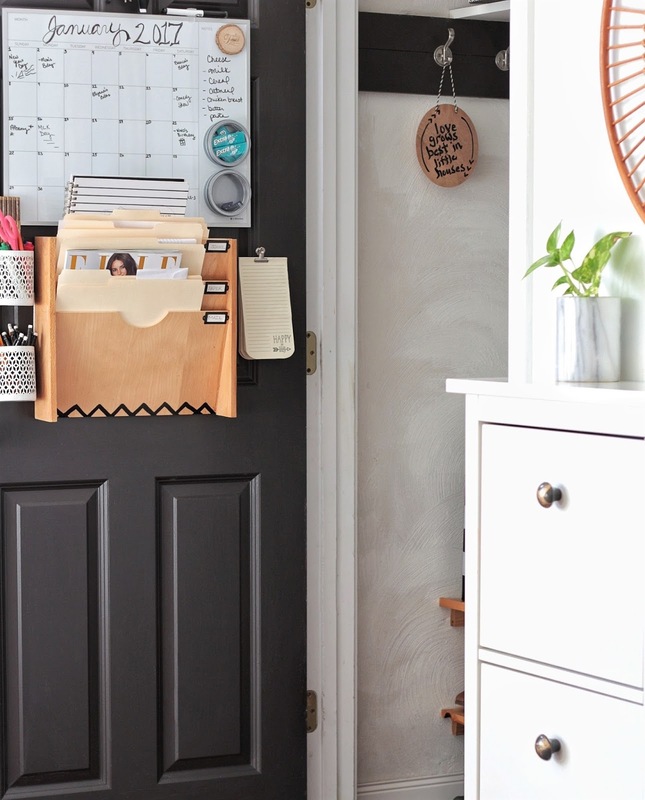 Instead I decided to maximize the space on the door (to relieve some of my junk drawers) and to create an organized Mini Command Center. 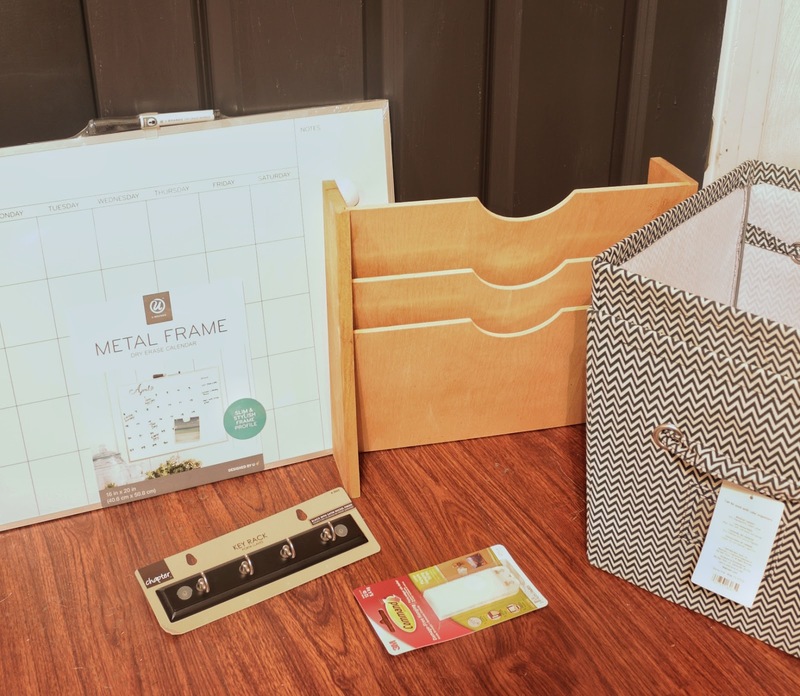 I grabbed a metal-whiteboard/calendar, a key hook and some coordinating storage bins. 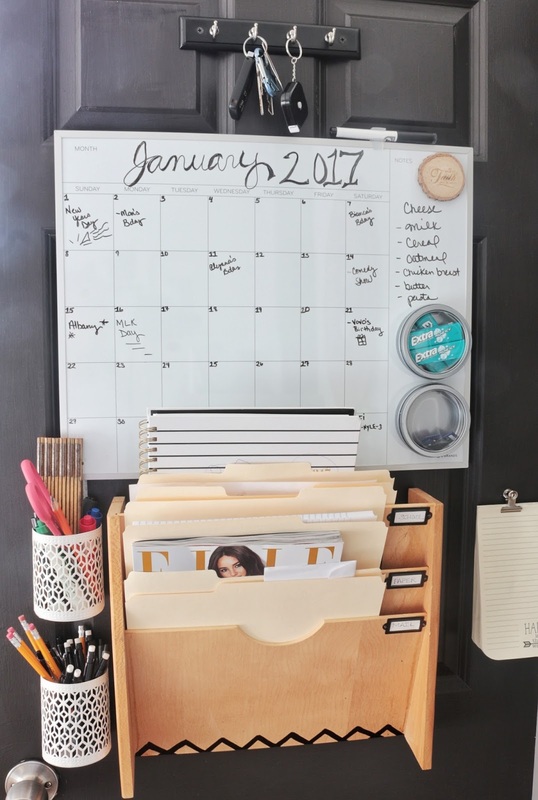 I also added a 3-slot paper bin organizer: 1 slot for loose-leaf paper, 1 for papers that need to be returned to school and another for mail/menus and or coupons. This was hung with velcro command strips and is very secure. I found the little magnetic metal tins at Dollar Tree and they are perfect for keeping my extra sim cards within reach and extra gum quickly available as we run out. I went ahead and added these little metal cups from Dollar Tree as well: I simply screwed right through the holes. 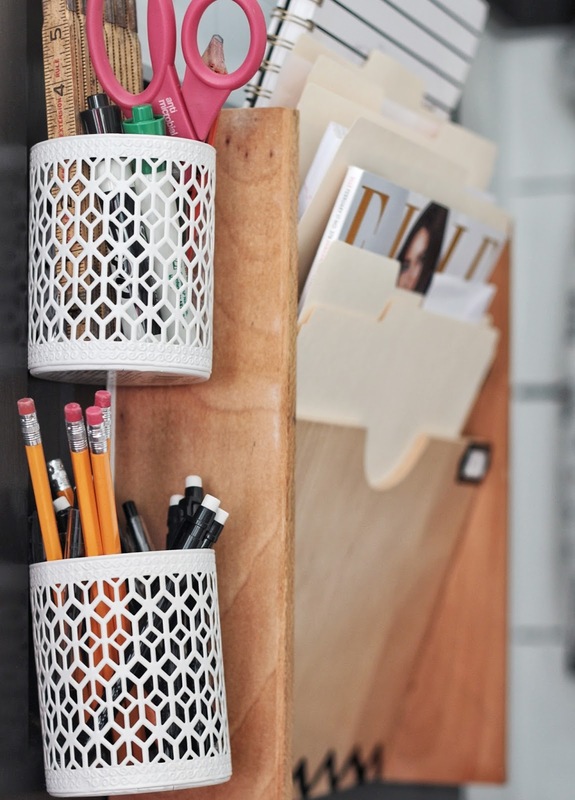 This helps to keep pens, pencils and other small items easily within reach. The bins on the top shelf were labeled, one for me and one for the hubs. He can keep his work items in one and I can keep my scarves in the other. Lastly, was the entryway. 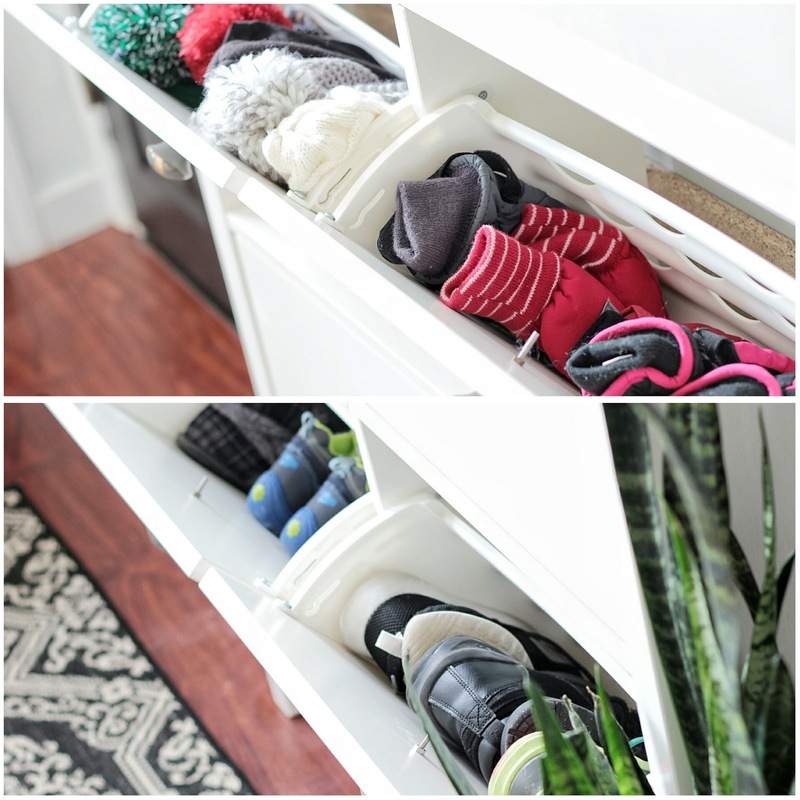 We purchased the Ikea Hemnes shoe cabinet last year, and in the winter, we use the top two drawers for accessories. 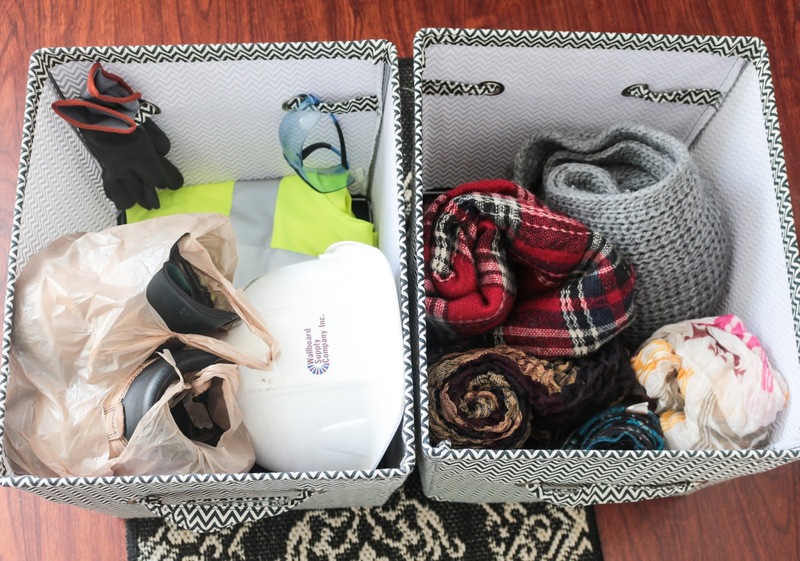 One drawer holds the hats, the other holds mittens and gloves. The bottom of the piece holds the little guys' shoes: one for Cayden and one for Kyle. And that's all, folks! 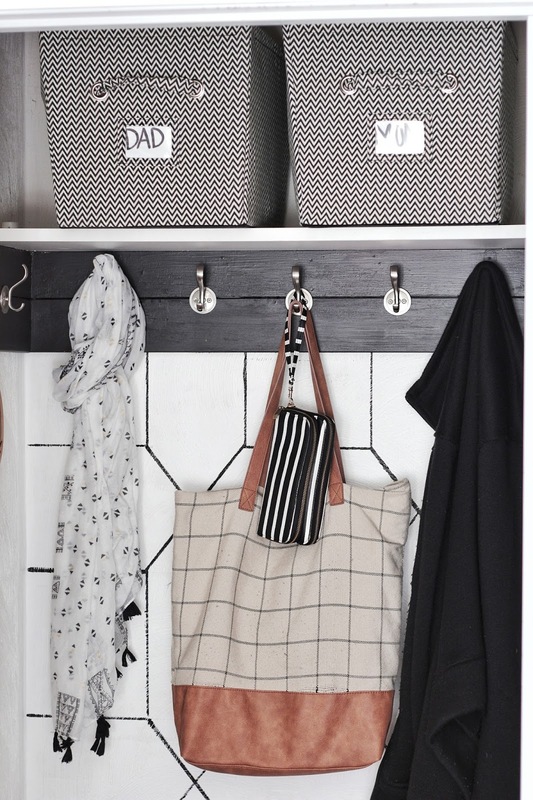 I hope you were able to find some ideas and inspiration with my Entryway/Coat Closet/Mini Command Center Organization. I plan to go a little further in depth on some of the aspects of this project in a subsequent post, if you have any questions, please don't hesitate to ask! It's gorgeous Carli !!!! I love how you used every inch of the space !! 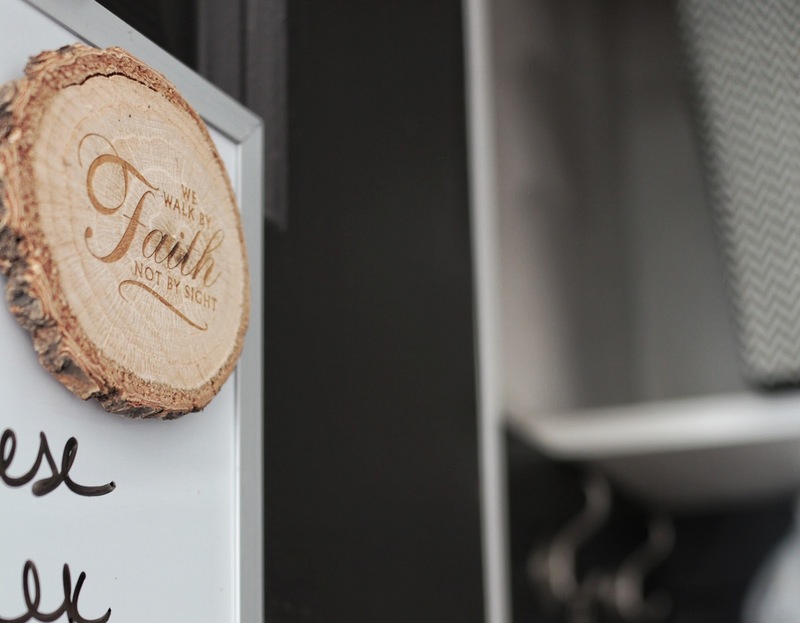 Even the command center on the door is genius !!! Yes girl #smallspaceliving every inch counts 😁😁😁, Thank you Nicole! Thank you Crystal!! and although some of those lines are ever so crookedy, lol,I'm pleased with it! Such a beautiful and functional space! 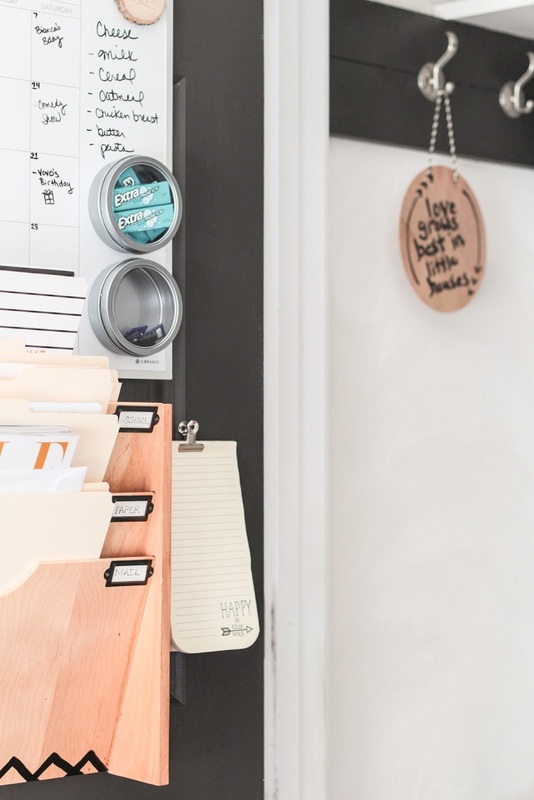 I love how you incorporated beauty, yet functionality with the comand center as well. Love it! Wow! 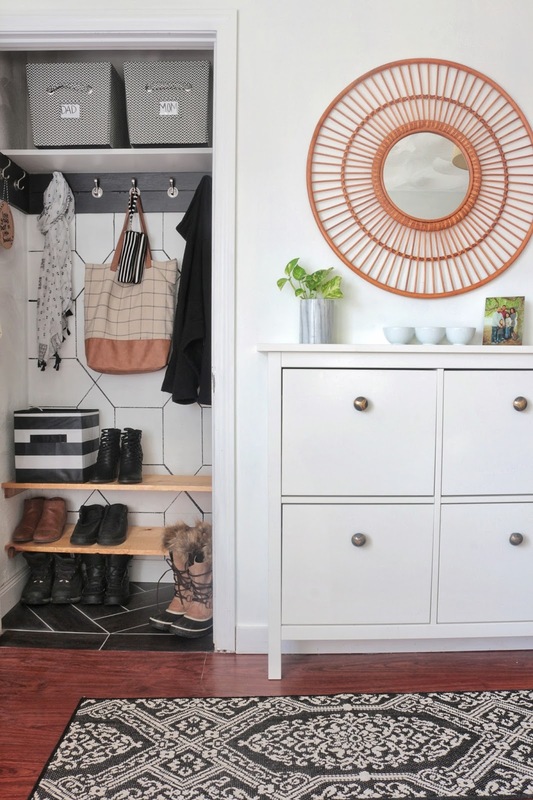 who knew a coat closet could be so pretty! I love the 3C's concept! Great idea, I'll keep this in mind during my next reorg! Hey Carli! 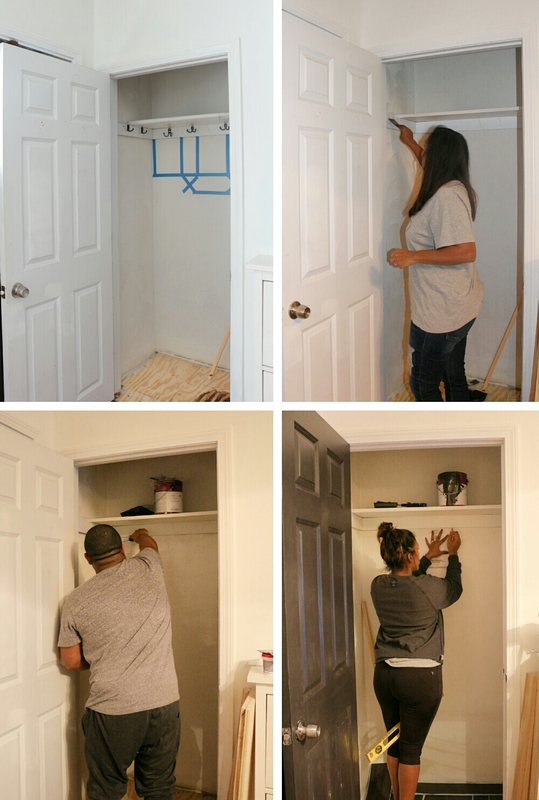 You did such a great job redoing your closet. I love that you were able to create a command center as well for your family, really making the most of the space. 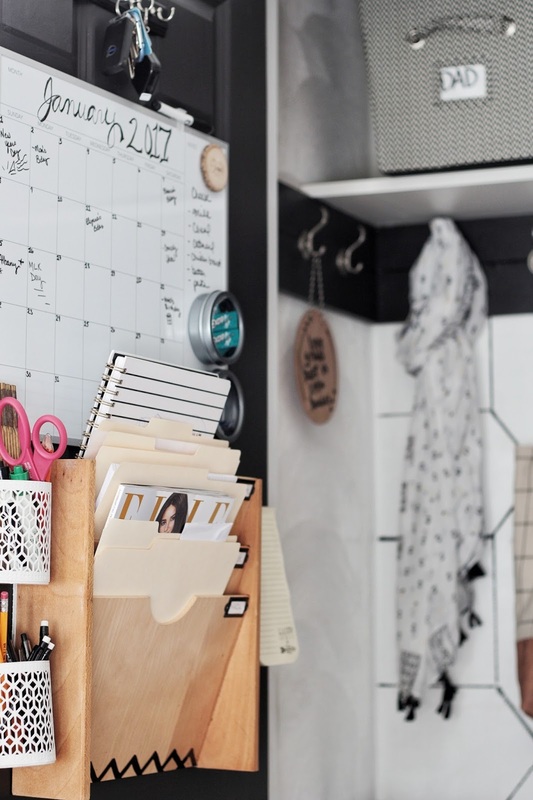 LOVE the Sharpie detail on the wall! It's a cool idea! Plus, the command center is great, too. Loved your post, Carli.